Tomorrow is the start of the most anticipated event for all iOS developers. People have high expectations each time Apple releases a new iOS version. This year is no exception. As a matter of fact, the expections for iOS 7 have never been higher as the competition keep moving forward while Apple is struggling (let’s face it). Apple got bad publicity after the release of iOS 6, I think it has done some serious damage. It’s safe to say that they are under pressure now. The stakes are high, iOS 7 is going to be a essential version that will determine Apple’s direction. The problem is that iOS 6 still has a lot of work. They have pushed -and forced- too hard to release new features like the new Maps or iCloud and failed to deliver -ending up with buggy software needs to fixed first. Apple is aware of this. Recent signs seem to confirm this. Scott Forstall is ditched and Johny Ive will provide leadership and direction for the Human Interface. What I really wish is that Apple fixes some obvious issues in iOS 7. I think Apple has made a cruel mistake with the App Store app in iOS 6. Search result now displays one app at a time. The user has to swipe to see the next result (next page). Searching apps becomes annoying and slow. Even searching well known apps can be inconvenient with the new horrible card UI. It’s bad for the user, but even worse for the developer as the rich get richer and the poor get poorer. Hiding or even removing stock apps is becoming a major issue as Apple keeps adding new apps with each iOS release. I think it’s finally time to give the user the option to delete (or at least hide) stock apps. Apple’s new Maps has been flagged by some blogs as the biggest tech failure of 2012 — that may be a little harsh — but they did mess it up pretty bad. I think they’ve made a big mistake by ditching public transit directions. Many users now use Google Maps for that reason. I also cannot understand why they put such effort in the 3D thing. It’s nice but it’s pretty useless. Plenty of work has to be done to fix the Maps app, no question. On the other hand, it’s becoming better and better. The app itself is actually pretty good I think. I use maps a lot for driving directions and I’ve never had any issues with it here in the Netherlands. One feature I’d love to see in maps is the ability to select an area for offline use (yes, just like Android). There’s still a lot of room for improvement for iCloud, notification center, spotlight and FaceTime. I guess it will have some kind of UI overhaul but not the kind that most people expect. People expect that the whole UI is going to change, that it must be flat because… well, that is the latest trend. But design is not about going flat or skue. I expect that they’ll make changes like removing all glossy elements and making the whole thing a little more subtle. 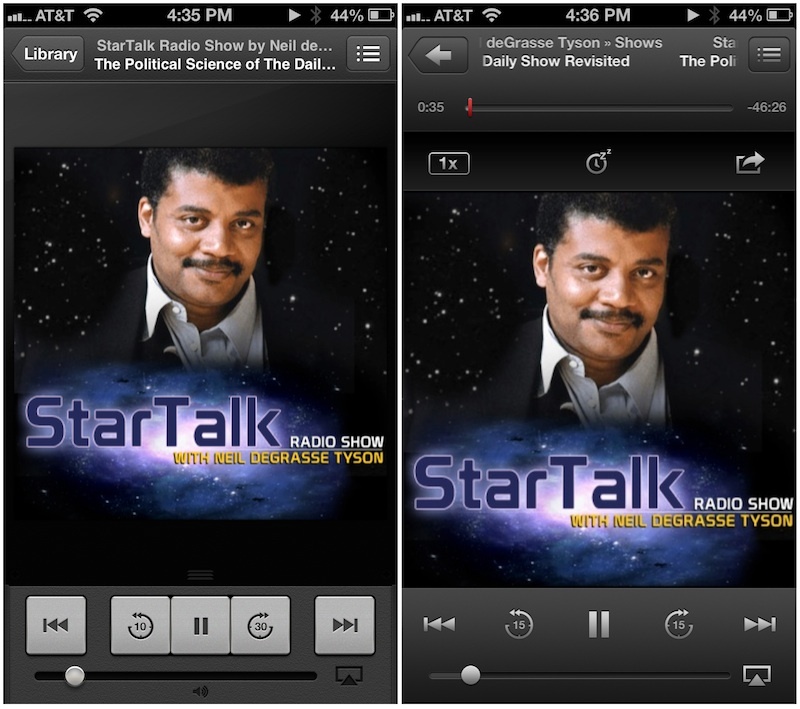 The new vs old podcast app is a good example. More centralized system (think Google Now-ish but integrated in system). Apps needs to be better connected with each other — and with the system. Obviously I was horribly wrong about most things. iOS 7 is a complete overhaul. And I like it.